On September 25th, 2014, Age of Warriors, a new age strategy Role-Playing game, becomes available for free download on the US iOS App Store at https://itunes.apple.com/app/id690346667. Players can now enjoy the game on their iPhone, iPad, or iPod touch. 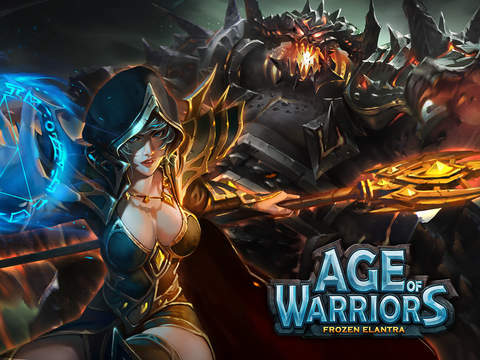 Age of Warriors combines strategic combat, player guilds, and real-time multiplayer game-play with a free-moving camera, high-quality graphics and sound. RPG fans can customize heroes and utilize powerful battle spirit and abilities in various ways. In Age of Warriors, you play as a lord on a mission to unite a party of renowned heroes from across the land to overcome the evil. The battle for Elantra has already begun! 3D real-time strategy and fantasy RPG style gameplay. Six customizable hero classes, each with their own unique skills.